Be irresistible this Valentine’s Day! 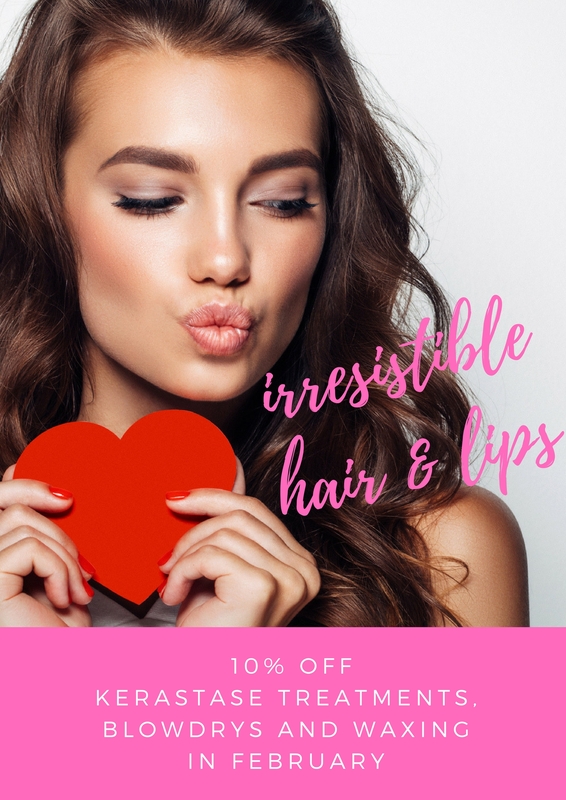 Or if you don’t have a special someone this year, indulge and treat yourself with our special Valentine offer of 10% off any Kérastase treatment, waxing service or blow-dry for the month of February. Offer ends February 28th and is available to both new and existing clients. Book an appointment today, quoting ‘Valentine 18’ offer and look forward to feeling irresistibly fabulous in February!